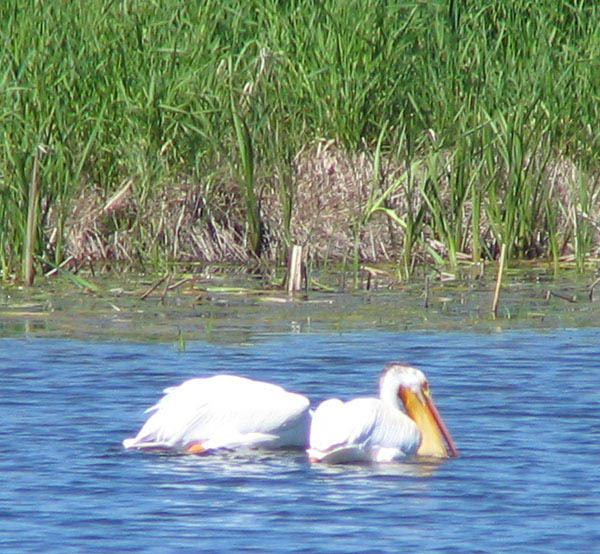 Weighing in at a typical 16 pounds, pelicans are among the largest of the migratory birds that routinely stop in at Big Lake. 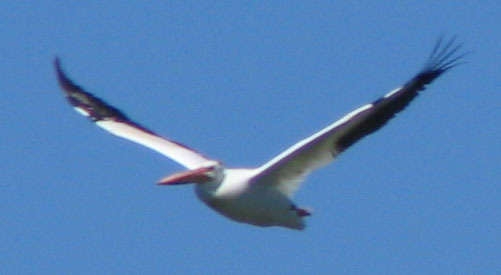 The lake and river normally see a lot of these birds during the fall migration but a large number of pelicans were also to be found cruising around Big Lake and the Sturgeon River in the summer of 2005. 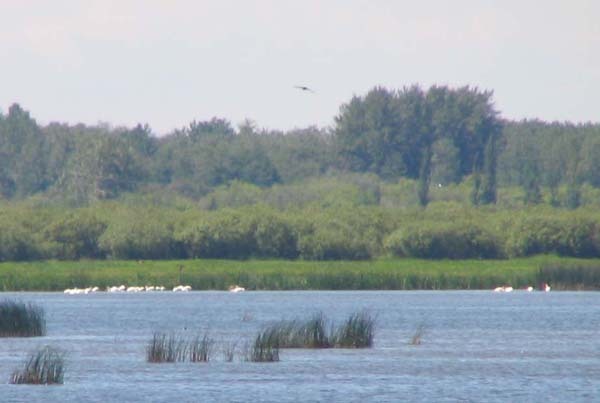 It's likely the summer birds were only here to feed on invertebrates (primarily freshwater shrimp) as Big Lake does not provide optimum breeding habitat for pelicans. Breeding colonies normally nest on islands where they obtain better protection from predators. 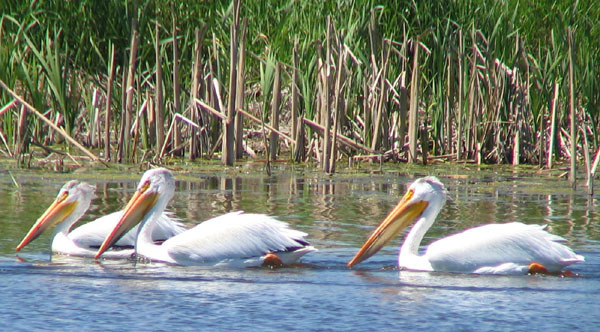 The pelican breeding range is through much of Saskatchewan and northeastern Alberta. More information on this intriguing bird is available here. 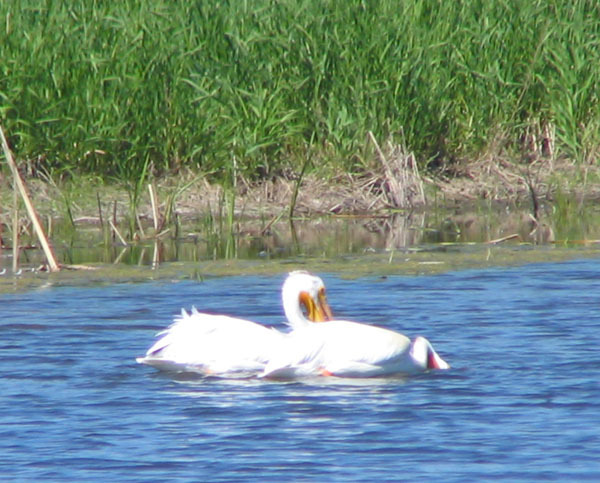 Many thanks to James Price for sharing the following great photographs taken on the Sturgeon River and Big Lake in June 2005 and to Dan Stoker for his analysis of the summer phenomenon and background information on pelicans.